Robert A. Sparks is an attorney who has lived in and around Johnson County for most of his life. A native of the Alvarado area he has also lived in Hamilton and Dallas, Texas and Little Rock, Arkansas. 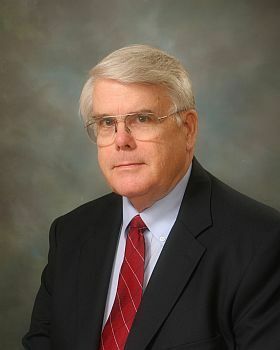 His education includes a Bachelor of Science in Industrial Engineering from the University of Michigan Engineering School, a Master in Business Administration with a concentration in real estate from Southern Methodist University and a law degree from Southern Methodist University School of Law where he was the Business Editor of the Journal of Air Law & Commerce. Mr. Sparks has spoken on numerous occasions at continuing legal education seminars sponsored by the State Bar of Texas and other providers on many areas dealing with property, bankruptcy, lending ethics and law office management. A pioneer in the use of computer technology in the law office he constantly updates the technology systems to best serve the clients’ interests employing technology to expand the scope of legal research efficiently and quickly.